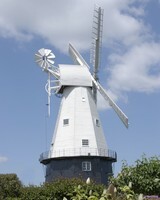 There are three main designs of windmill in the British Isles, post mill, smock mill and tower mill. 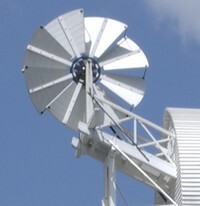 Fantail on Union Mill were fitted so that the sails would automatically stay facing into the wind. 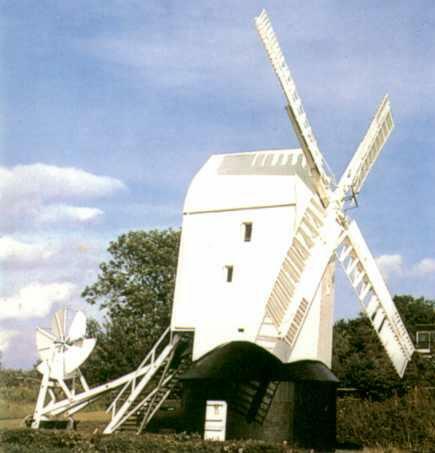 Good examples of post mills in the south east are Chillenden in Kent or Jill Mill at Clayton, just north of Brighton in Sussex. had to be constructed to enable the miller to gain access to the sails. 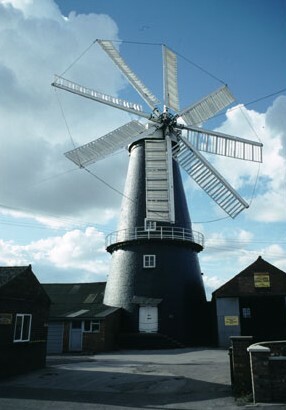 Most of the surviving windmills in Kent are of this type. Pictures of these can be found on the Links page. 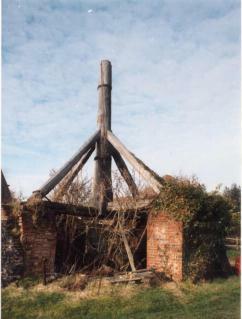 The TOWER MILL is a logical development of the smock mill, with the entire body of the mill built in brick; also preferred in less wooded areas of the country where suitable timber was more expensive. 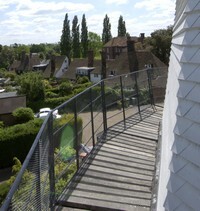 This was probably more expensive to build initially but stronger and easier to maintain. Because they also survived longer, there are many examples of tower mills to be found in the British Isles. 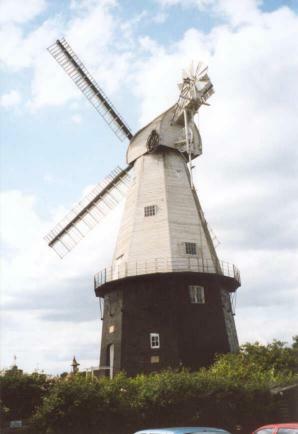 The tallest is at Moulton (100ft) near Spalding in Llincolnshire, and the picture is of the unusual mill at Heckington in Lincolnshire with eight sails instead of the usual four.